Hundreds of styles, brands, and shapes to let natural light into your home. 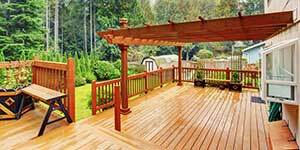 Natural wood or synthetic decks, perfect for for entertaining or relaxation. Maximize the space in your home by enclosing an existing porch for entertaining. Butler Home Improvement is a locally owned and independently operated interior and exterior remodeling company that has been providing homeowners with high-quality home improvement services for over two decades! Our promise to clients is to provide care, choice, and craftsmanship when performing remodeling services. We offer hassle-free quotes, financing options and double the labor warranty of our competitors! To get started on your next home improvement project, contact us today. Butler Home Improvement was developed on our core values of building trustful, long-lasting relationships by always treating people with honesty and care. We took our admiration for workmanship and respecting others and used it to make Butler Home Improvement an industry leader! Serving the St. Louis area for 20 Years! 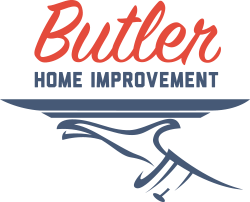 Here at Butler Home Improvement, our team is driven by our shared passion for remodeling and improving living spaces throughout the St Louis area. If you’re in need of cost-efficient, custom-built home improvement services, allow the highly skilled contractors and installation specialists from Butler to show you why we're rated A+ by services such as the BBB and Angie's List! Check out our current service areas and let us know if you have any questions!